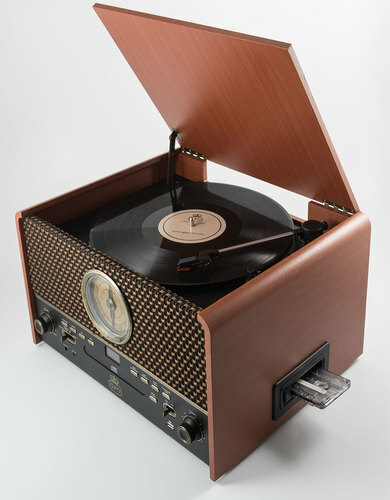 GPO Retro 'Stylo II' 1960s style Record Player in a cool cobalt blue. 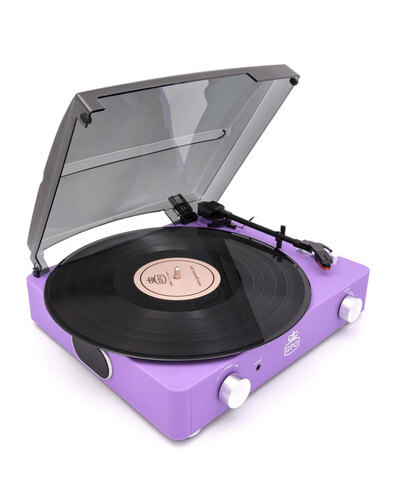 Swinging Sixties design with matte rubberised finish, this stylish turntable style record player incorporates a Vintage design aesthetic that features a 3.5mm Aux in for MP3 connection. 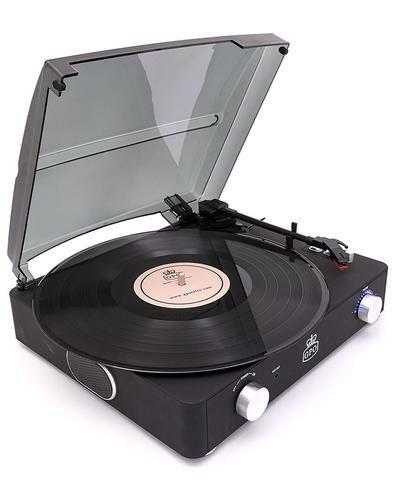 With built in stereo speakers, tinted hinged dust cover and Retro chrome dials, this portable Retro Record Player is perfect for those looking to gently step back into the vinyl world. 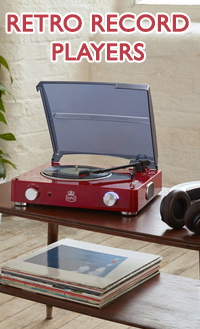 For those that want to ramp up the volume, the Stylo II is compatible with external speakers (including the GPO Retro 'Westwood' and 'Westwood Mini' speakers). 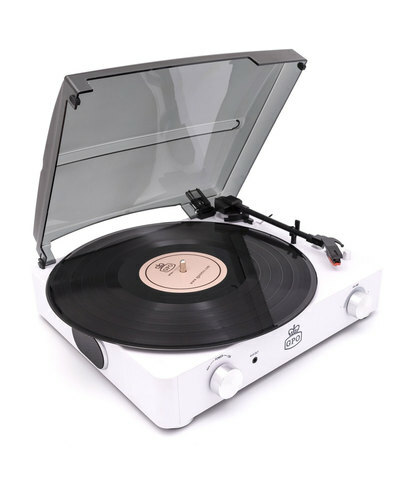 A great gift idea, the GPO Retro 'Stylo II' record player is sure to add a touch of 1960s Mod class to any home! 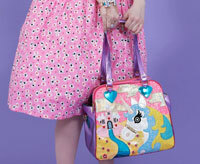 A Retro turntable with bags of style! 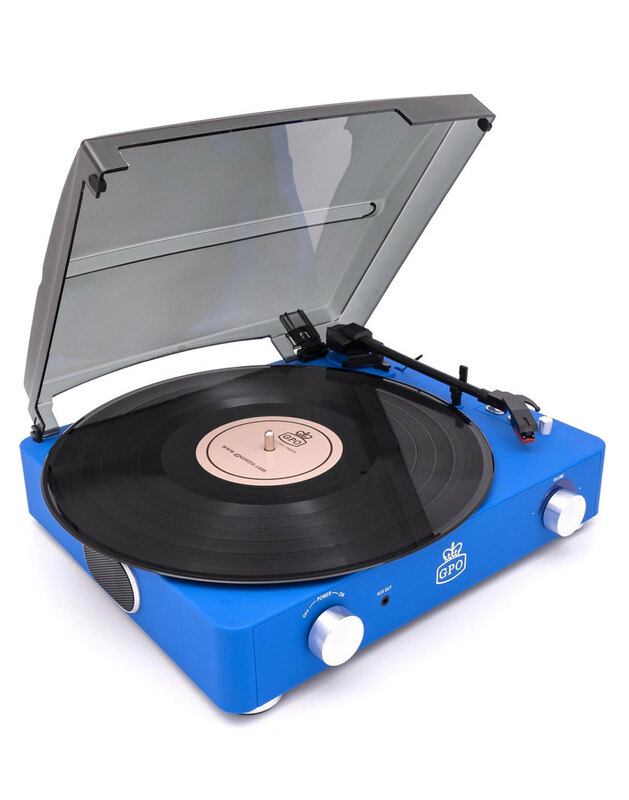 - GPO Retro 'Stylo II' record player in cobalt blue.